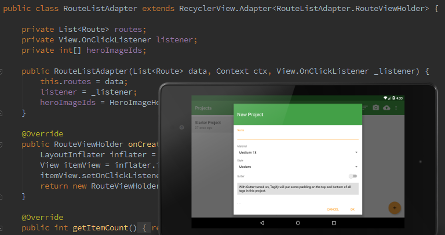 After about 15 years of web and Java EE development I turned my attention to Android. I am dedicated to solid apps that have the customer in mind. To do so, I have a strong focus on the limitations and the context in which mobile apps live and on taking the short attention span of users into account. I like to share with others. That's why I have been blogging for quite some time. Currently my main focus is on Grokking Android where I blog about some of my experiences while working on Android. Back in my Java EE days I had a blog named after Fred Brooks' famous book "No Silver Bullet". You can still read it. I also published a few posts on SUN's java.net blog (some of which survived on the Wayback machine). Since I mentioned Brooks: I think it's very sad that thirty years after his publication the IT industry still makes many of the mistakes he has outlined. 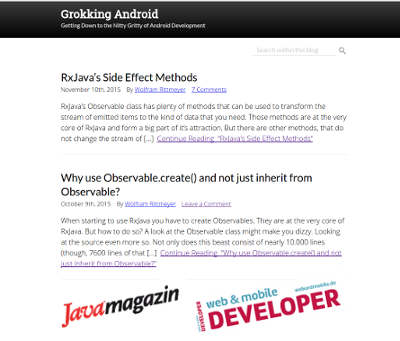 I also published four articles in Java magazines. Two about Android topics in the German magazine "Web & Mobile Developer" and two during my GlassFish days in the German "Java Magazin". Besides attending I'm also occassionally speaking at events myself. I have been using free software for a very long time and contributed myself occassionally. Around 2005 I was very active in the GlassFish community. 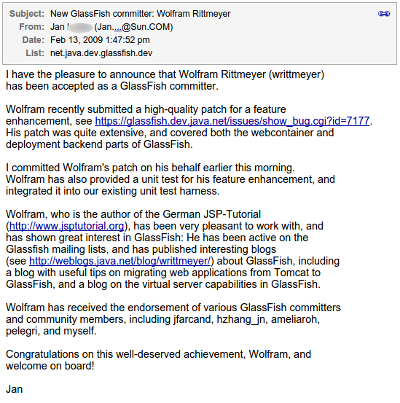 GlassFish was SUN's open source Java Enterprise server. I contributed to questions on the mailing list and after a while also supplying patches. Shortly before Oracle bought SUN, I was granted commit access for GlassFish. See the mail on the left, which I am still proud of. Before that I also briefly was active committer to JMeter, an load testing project, that's part of the Apache foundation's Java offerings. Nowadays I'm not so active contributing to open source projects any more. But I still publish Grokking Android's sample project on Bitbucket or Github and sometimes submit pull requests to other projects. I'm also proud to be among the donors of the New York Times ad for the very first Firefox Release. Without the Mozilla Foundation's and KDE's (Konqueror) efforts the open web we all love wouldn't exist any more. Neither would Chrome or Safari. Let's keep the web open! This form collects your name and mail address in order to be able to reply to your contact mail. Please select the checkbox on the left to consent to this and to be able to submit this form. Check our privacy page to read more about this. The design is bosed on Landing Page. You can find the sources of my heavily modified version on github. This template makes use of Font Awesome, Bootstrap 3.2, jQuery and uses the Google Font Lato. Photo credit: Java User Group, Belgium. 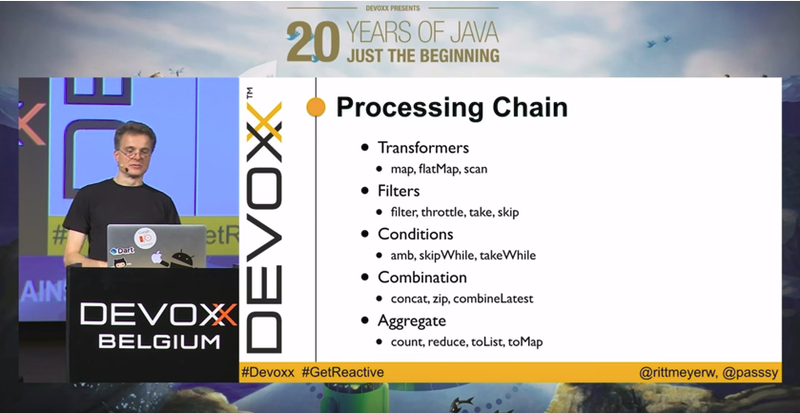 The photo was taken during Pascal's and my talk on RxJava at Devoxx, Antwerp in 2015.